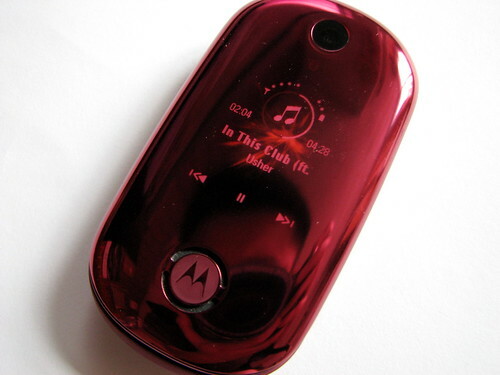 I’ve spent the last three weeks using the Motorola U9 as my main phone for day-to-day usage. 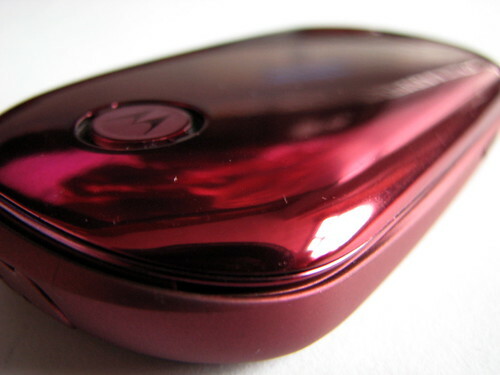 It’s a stylish and compact clamshell phone that is reminiscent of the Pebl from a couple of years ago. This quad-band handset is light on the features but heavy on style and statement. The tiny design fits in the palm of your hand and looks like an oversized piece of jewellery. 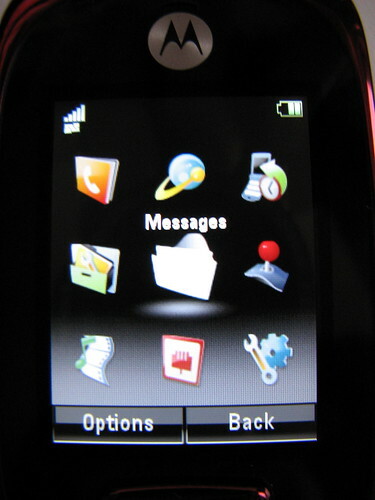 The clamshell design does hold a few surprises with a high quality external OLED display that shows the time and messaging/missed calls information. That’s all pretty standard for a clamshell handset, so what makes the U9 special? With the music player launched, the exterior display will show track information from your mp3 files but also allows you to control playback by tapping on the screen. The functionality is basic with the ability to skip forwards and backwards or play/pause the track, but it’s something a little bit different to what everyone else is doing – and that’s what sets the U9 apart from other handsets. 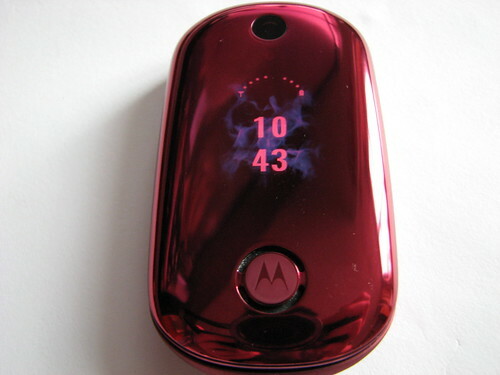 Open up the jewel-like phone, and you’ll find the familiar Motorola-styled keypad that is completely flat. Whilst this design feature was a cosmetic nicety, I did find it quite difficult to use. This was partly down to the size of the entire unit as well as the way the keypad was designed with its one-piece design. 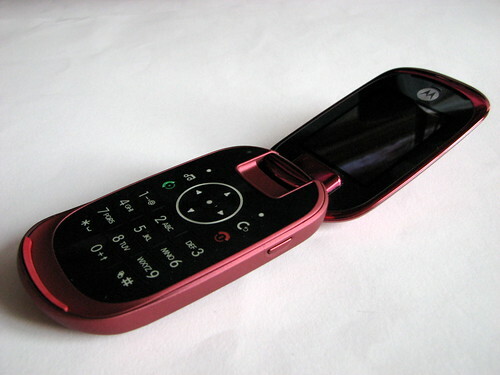 As a basic phone, the main functionality you have come to find on a mobile phone are all present. The menus are simple but intuitive and there’s a sense of a no-fuss attitude taken with its look and feel. Similar to many other phones out there, the U9 has a home screen shows you the usual info such as time/date and missed calls/message information. Open up the menu and you’re prompted with a nine icon layout system that we’ve all become familiar with on various other phones. For audio playback, you can output via the stereo speakers or use a set of wired or wireless headphones. If you own a set of A2DP compatible Bluetooth headphones, then you’re in luck, because the U9 includes A2DP Bluetooth audio streaming, which means you get full stereo quality when you hook up to a wireless Bluetooth headset. I’ve tested phones without A2DP on Bluetooth headsets and the results are a far cry from even radio quality. The built-in 2-megapixel camera works surprisingly well. As soon as you load up the camera application, you get a smooth frame-rate image on the 2-inch screen. Whilst the rest of the world has moved on with camera technology on portable devices, the 2-Megapixel resolution on the U9 can be rated satisfactory – offering nothing special to shout about but good for the occasional shot. Just don’t expect to be able to use it on a night out because their’s no flash. One thing that impressed me about the U9 was its battery life. It just keeps on going when you expect it to die. On a full charge and with my daily usage, I was able to make the U9 last up to five days at a time. Just the one issue that I’ve discovered with the U9, which stops it from being perfect at what it does, and that’s the sluggishness of the device. I can’t really pinpoint it down to the software or hardware, but something is definitely making the phone drag. The menus can sometimes be unresponsive or takes just a tad bit longer to react than you would expect – and that builds up to a poor user experience. Now considering how smooth it’s able to process the video from the camera, I’m guessing it’s something to do with the software. Overall, the Motorola U9 is a quirky, affordable and stylish phone. It’s available in a range of colours and slips nicely in to your pocket. With a tiny footprint and smooth looks, this is one for the fashion conscious and the less tech-savvy who just want the basics but don’t want to be considered a cheap skate. It’s a phone that has a good balance of sophisticated technology in a package that can ultimately be considered attractive. The coolest feature for me has to be the OLED display and the touch interface for your music player….it works brilliantly if you have a set of wireless speakers. the audio effect and video clearence in motorola u9 is really very bad. please say me to increase it through any softwares?.